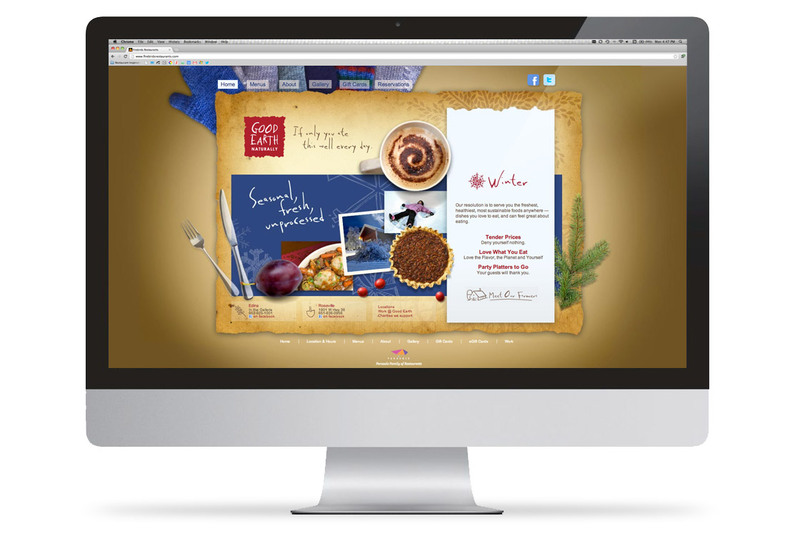 How do you keep a brand vital year after year? 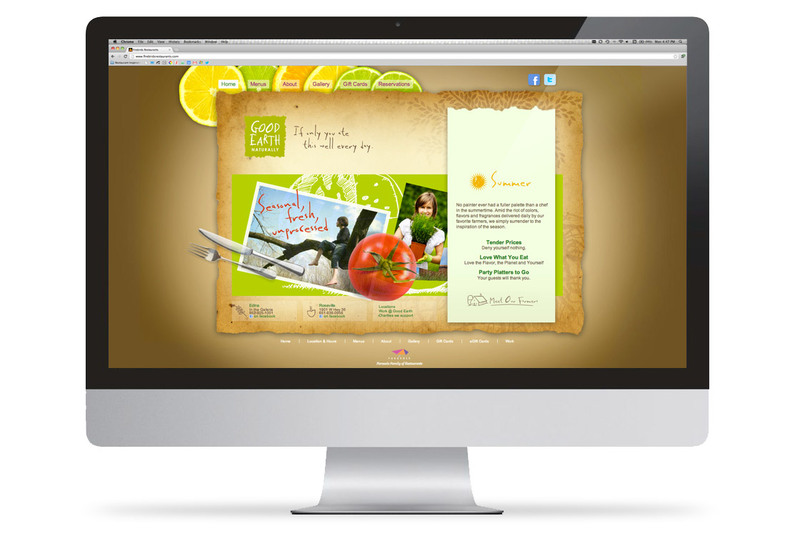 By taking a lead from the kitchen and embracing what’s fresh, celebrating the seasons, and seeking out the new. 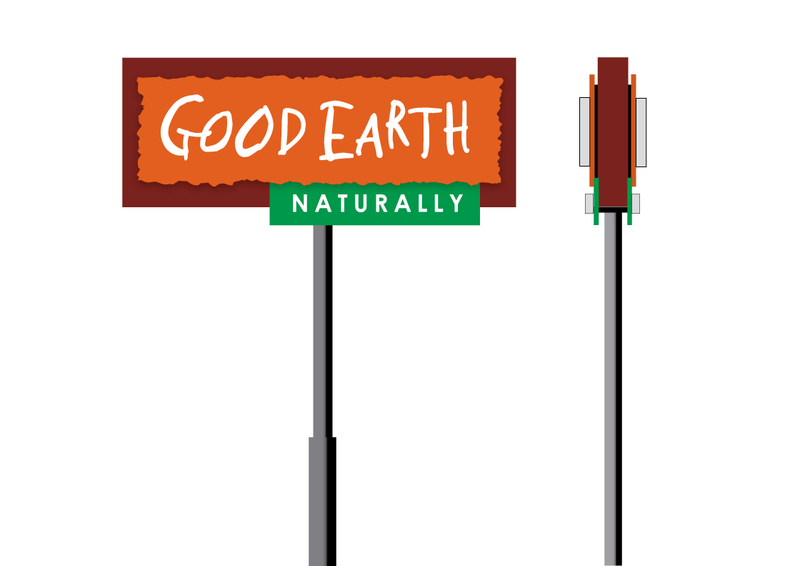 The current version of the Good Earth logo: a bit rough-hewn, unpretentious, and simple. 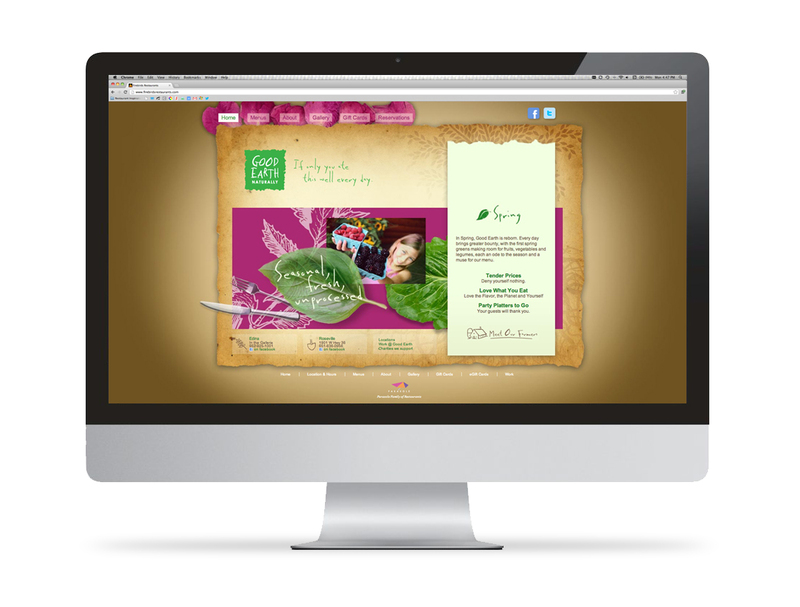 Exterior signage is designed for maximum readability and clarity while communicating the flavor of the brand. 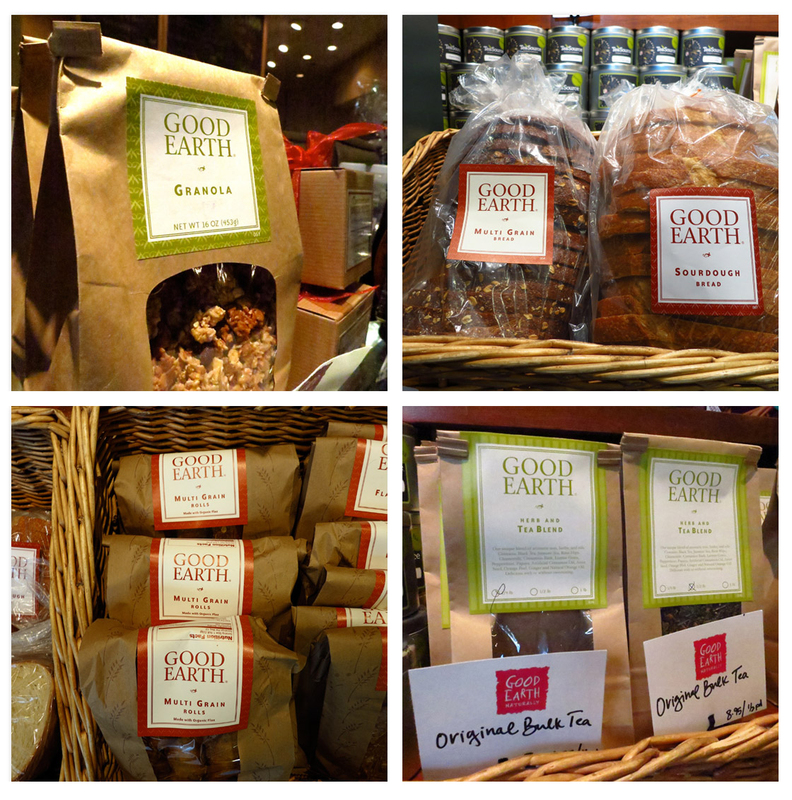 Good Earth’s recyclable paper bags are used for retail purchases, to-go orders, and catering. 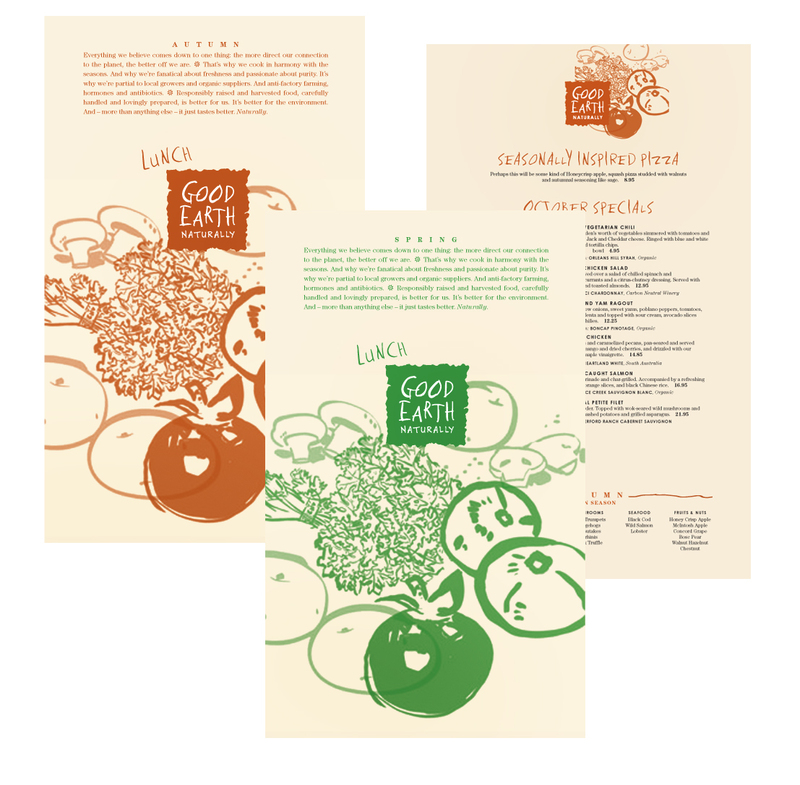 Supervox designed a broad range of packaging for Good Earth’s thriving retail business. 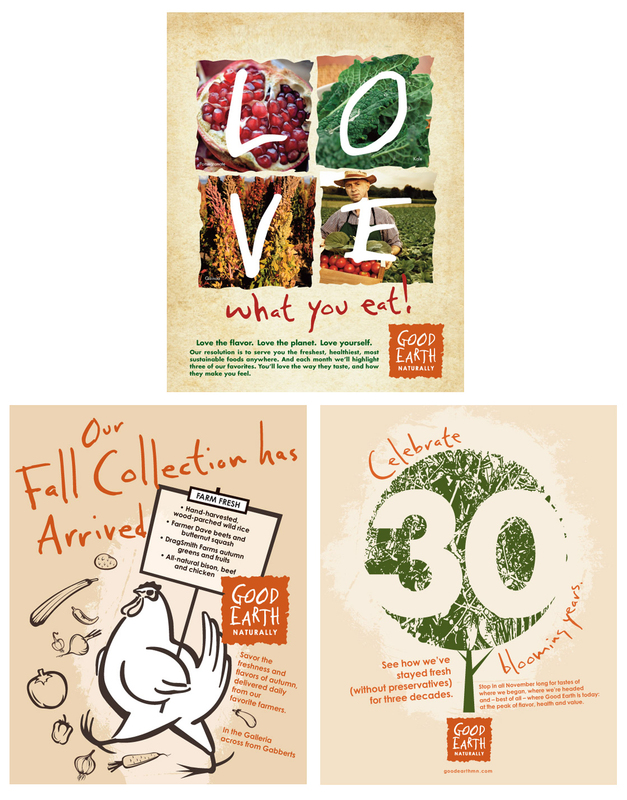 Posters communicate seasonal offerings, limited-time promotions, and new product introductions, while also conveying broader brand messaging. 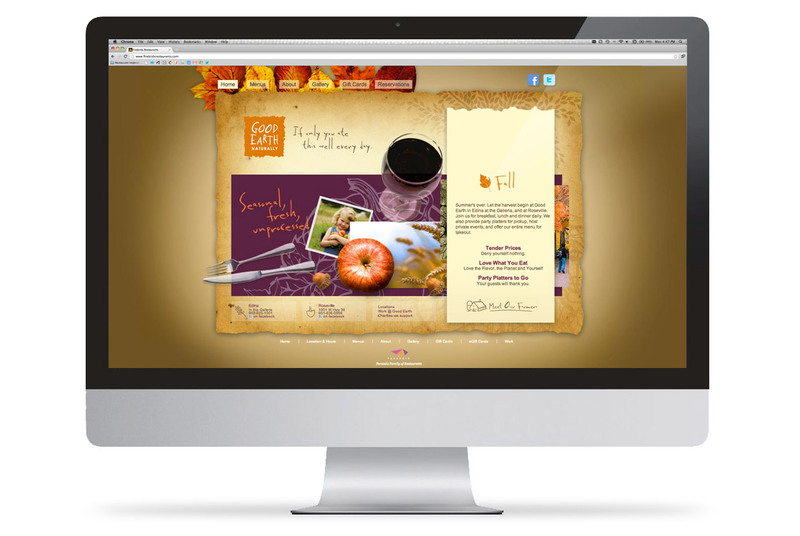 The website homepage changes with the seasons, and can be easily updated to reflect current promotions and limited-time offerings. 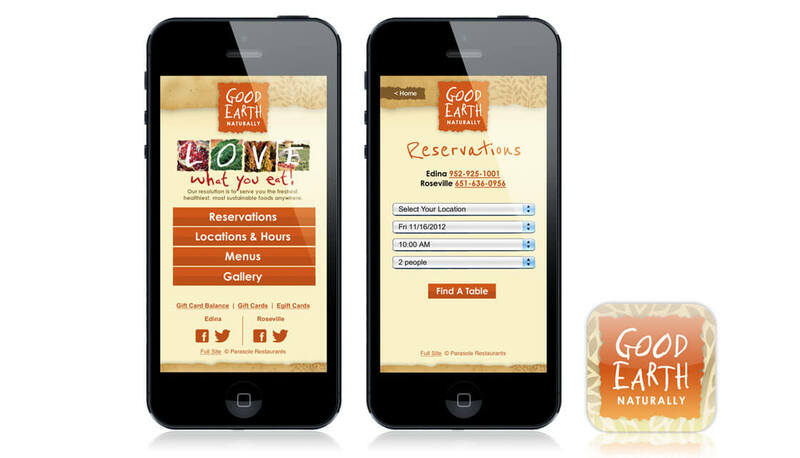 The Good Earth restaurants’ mobile website brings key functionalities to the fore, without sacrificing brand flavor.